Jenny of ELEFANTZ: A birthday gift! 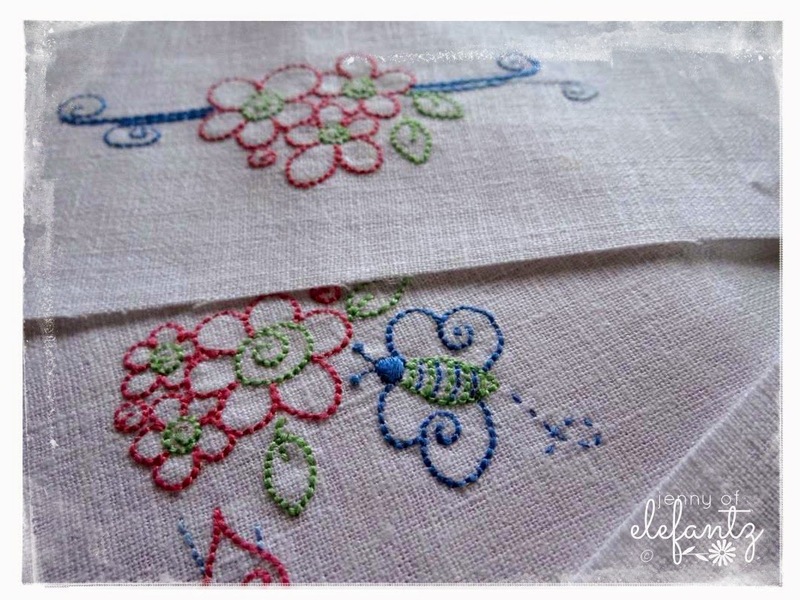 Beginning last June and finishing in March this year, on the 20th of each month I've been sharing free tutorials to make projects from my series of ten Rosedaisy Stitcheries. ....and I'll be showing you how to make it as well! We often get stumped with what to make for teenage girls, or friends who already 'have everything', but a sweet birthday stocking to hang is rather unique, don't you think? Have a wonderful Valentines Day and weekend everyone! Awesome bargain! Have a nice day out today - eat yummy coffee and cake! Sounds like another great tutorial on the way. Early Happy Birthday Jenny Dear. You are giving us such a wonderful gift even though it is your birthday. Having a special "stocking" for your birthday could be a great new tradition especially when filled with little trinkets and gifts. 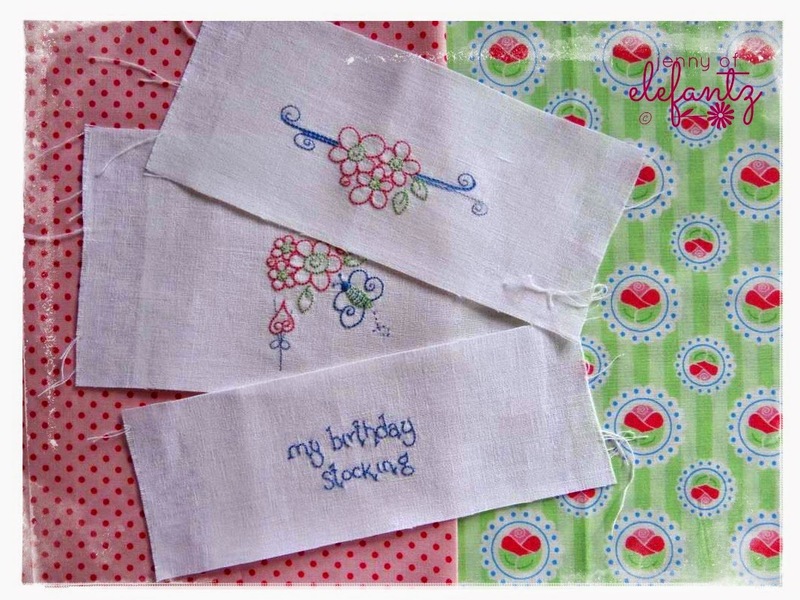 Creative Birthday Bliss...Thank you for the great sale price on your pattern set. 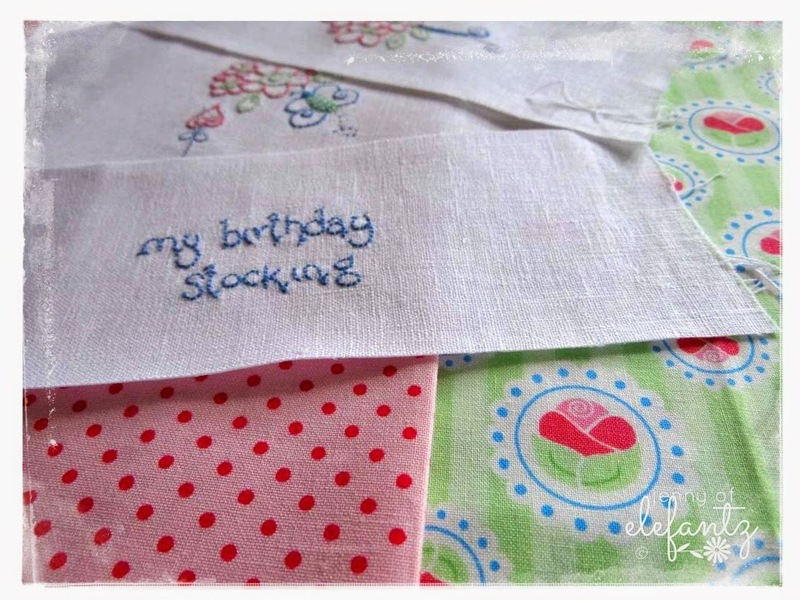 Oh I like the idea of a birthday stocking!! 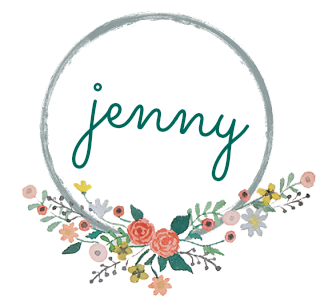 You do come up with the most amazing and clever ideas, Jenny! The Birthday Stocking is a GREAT idea! Now to find a teenage girl. LOL I know a three year old, so does that mean I have 10 years to get it finished? ;) Thanks for being so generous once again! A birthday stocking is a BRILLIANT idea - just make sure to make it big enough, and tell Mr. E to fill it to the brim!! !